DOLLHOUSE!! 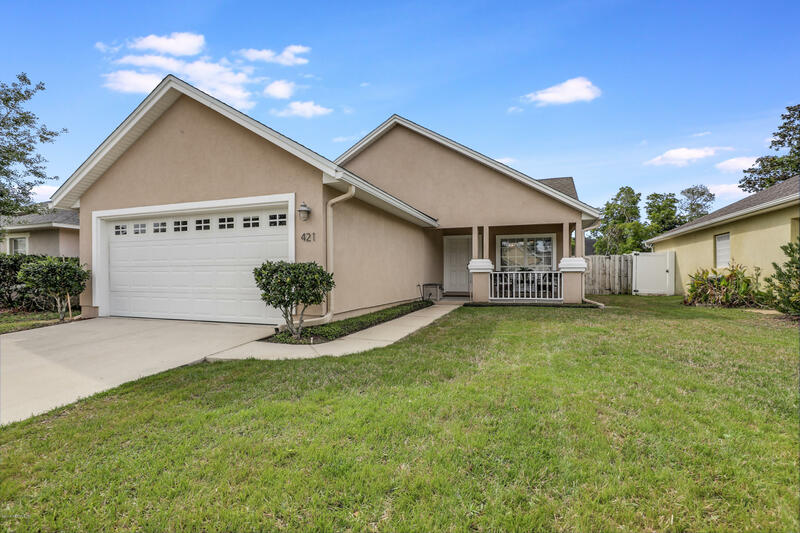 This well-maintained Hidden Lakes home offers 3 bedrooms and 2 full baths, the vaulted ceilings throughout give a spacious open and airy feeling. From the moment you step in you will see the love and care given to this cozy, immaculate romantic home. You will not have to do a thing since it's a move in ready! The home is filled with tons of windows that allows plenty of light and sunshine throughout. All window treatments are staying including plantation shutters. You can find High-grade laminate wood flooring in dining and living room, tile in kitchen and bathrooms with like new carpet in the bedrooms. The kitchen offers pull outs in the kitchen cabinets and plenty of shelving. Ceiling fans are located in all rooms plus the patio.